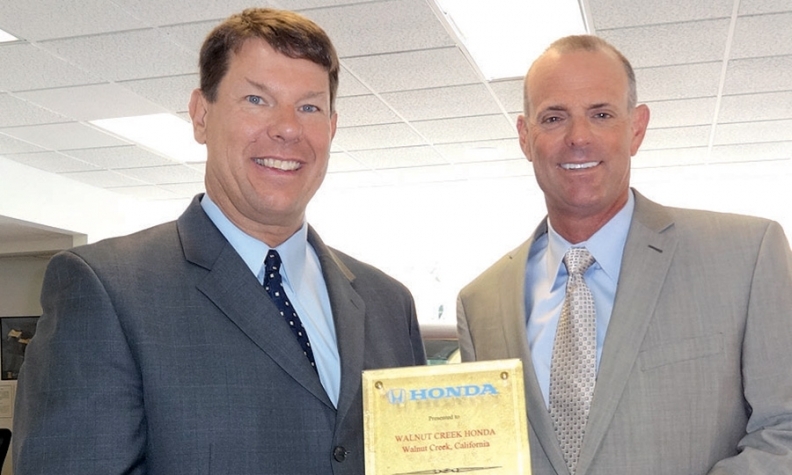 Gordon Walton, right, partner at Walnut Creek Honda in Walnut Creek, Calif., receives a 30-year award from Eric Van Olst, American Honda Motor Co.'s zone sales manager for northern California. 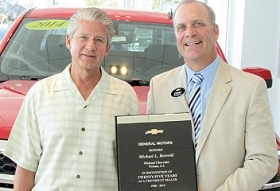 Garth Williams of Goode Motor Ford in Burley, Idaho, receives a 75-year award. 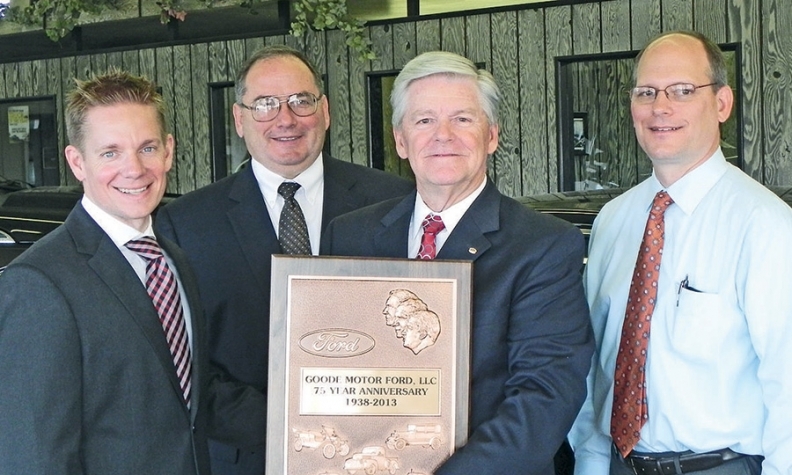 Pictured, from left, are Chris Thornton, Ford Motor Co.'s Denver regional manager; Russell Bair, partner; Williams, president; and Matt Cook, vice president. Richard Olsen (left) and Robert Olsen of R.C. 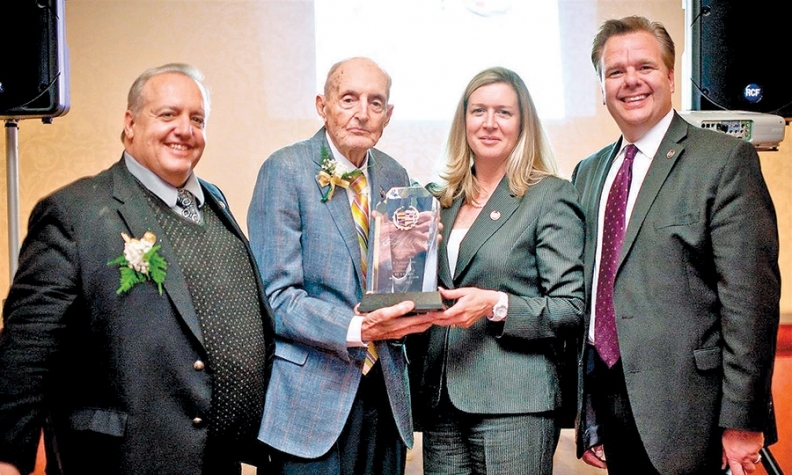 Olsen Cadillac in Woburn, Mass., receive a 50-year award from Angela Montgomery, Cadillac's Northeast regional director; and Michael Westhoff, Cadillac's zone manager. Richard Olsen is president; Robert Olsen is chairman. 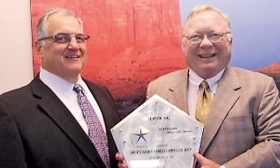 Mick Wolcott, right, of Mick's North Hills Chrysler-Jeep-Dodge-Ram in Pittsburgh receives a 25-year award for Chrysler from Curt Young, Chrysler Groups Pittsburgh area sales manager. Omnia Fowler of Modern Automotive Group in Winston-Salem, N.C., was elected chairman of the North Carolina Automobile Dealers Association. Also elected were George Anderson of Sir Walter Chevrolet in Raleigh, vice chairman; Dave Hansing of Terry Labonte Chevrolet in Greensboro, treasurer; and Mike Alford of Marine Chevrolet in Jacksonville, secretary. Natalie Tindol of Tindol Ford-Subaru in Gastonia is the immediate past chairman.